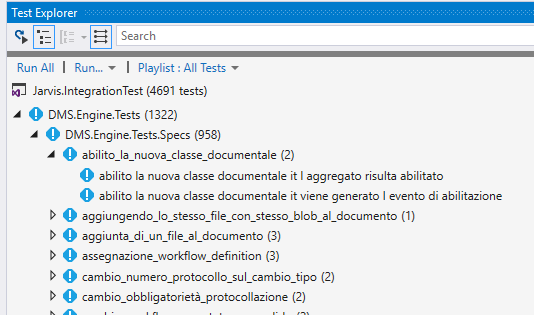 Figure 1: Hierarchical view in action in Test Explorer. Since I’m a great NUnit fan, I always like the ability to see my tests following the namespace structure of my test projects, this is surely much more better than a flat list. Actually I can detatch test runner from VS IDE and keep it on my second monitory to have a quick look at my test outcome. The full list of bugfix and improvements can be found here. 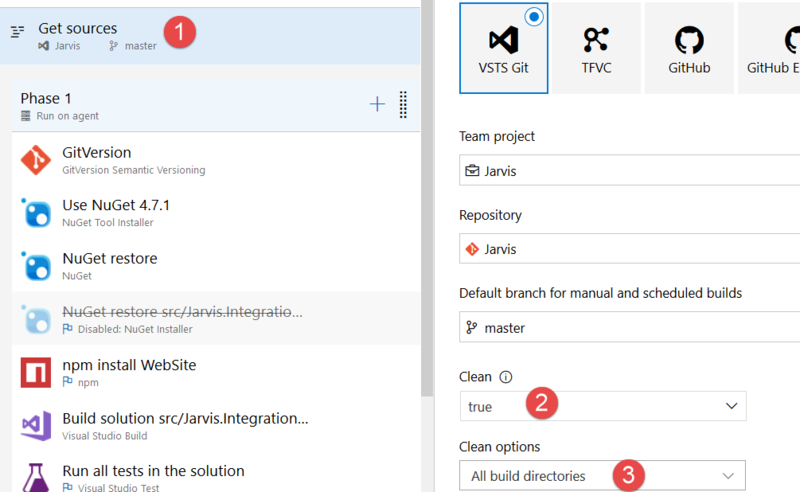 Finally the Client Object Model for TFS / VSO is finally distributed with Nuget Packages, as you can read here. This is a great news especially because the Dll are finally redistributable, and your tool does not need to require a previous installation of Visual Studio or Team Explorer, or Client Object Model Package. Another interesting fact, is that REST API are now supported for TFS 2015 / VSO (previous version of TFS does not support REST API). If you have traditional application that uses Client Object Model, you can remove all the references to the old dll and directly reference the ExtendedClient Package and you are ready to go. I’ve blogged in the past about using a Symbol server and I recommend to all people to use symbol servers whenever possible, to helping people troubleshooting problem on dependencies. Basically with a symbol server you can reference a dll in your project, but you can debug original source code as if you have the original project linked instead of having the dll. Sometimes this process just don’t work. Recently I’have a customer that had problem with this scenario, and the real strange stuff is: I’m able to step in dll source code without problem from any machine, but noone of the customer’s developers are able to make it work. After I’ve sent them detailed instruction it worked, and we were able to track down the problem. 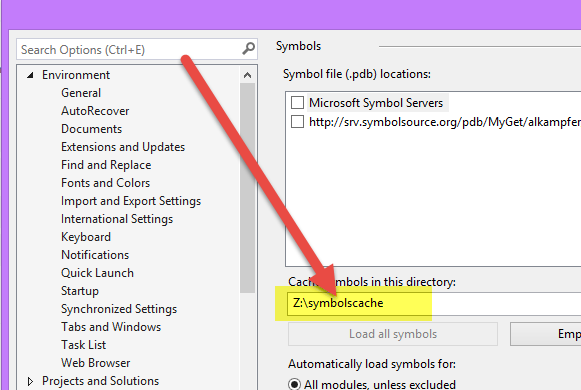 Visual Studio has a nice option to cache symbols in local directory to avoid downloading each time from the server. Here are my usual settings. Developers in customer sites decided to use a subfolder of %TEMP% directory and this was the cause. As soon as they moved symbol cache to something like c:\symbols everything starts working. The underling cause is probably due to long paths. If you have problem using symbol server, try using a really short path for your Symbols Local Cache directory. In this specific situation we are using free symbols server in conjunction with MyGet nuget package feeds. In my machine here is the location for a source file during debugging. Usual %TEMP% variable is something like c:\users\gianmaria.ricci\appdata\local\temp (this is my system and it is long 44 characters), so it is not a good idea to use it for symbol source cache. Since it is really easy to have really long path for your source when you use a symbol server, it is always a good idea using a short path for symbols cache directory, something like x:\SymSrc is probably the best solution. If this does not solves your problem, another suggestion is using Fiddler to inspect the traffic between your Visual Studio and the Source Server to understand what is happening. Today, Brian Harry announced new Visual Studio Online Update and it contains this feature, even if it will not be available to everyone at the beginning. For those people that uses TFS on-premise you will have this feature in the upcoming new version: TFS 2015. I strongly suggests you to have a look at Visual Studio User Voice and give your suggestion, because it is in the radar of Visual Studio Team.